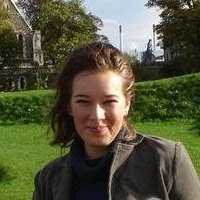 Q: Hello Alison, and welcome to the Let it Snow books event! Alison: Hi. Thank you for having me! I’m very happy to be here with you today. Q: Can you tell us a bit more about your latest release with Carina Press, A Christmas for Carrie? Alison: In A Christmas for Carrie, the heroine, Carrie Jones, is no fan of Christmas and hasn’t been for a long time. One day, in early December, she runs into her former high school crush and study-buddy, Nick Johnson, who is back in town to spend the holidays with his family. Sparks fly between the two and when Nick learns that Carrie hates Christmas, he sets out to prove to her that the holidays can be a magical time of year. Q: What is it that makes Christmas the perfect time for Carrie and Nick to finally realize that they’re right for each other? Alison: Because Christmas is what has brought Nick back to town, and his and Carrie’s chance meeting enables both of them to see each other in a new light. 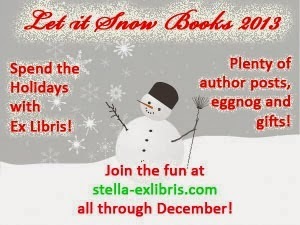 Q: Since Let it Snow Books is all about the best books we read this year, could you please share some of your favorite books for 2013? Alison: My favorite book in 2013 was Love Irresistibly by my favorite author, Julie James. A few other books I read and enjoyed this year were W is for Wasted by Sue Grafton, Hip Check by Deirdre Martin and Dare to Love by Carly Phillips. Alison: Ever since my immediate family moved to another state a few years ago, my usual Christmas routine is a thing of the past. So now, after I call my family to wish them a Merry Christmas, I spend the day with friends. Alison: That first holiday commercial on TV. Sadly, they now seem to start in October, so even before Halloween I’ve got Christmas on the brain. Q: Could you share with us your favorite holiday meal/dessert/candy? Alison: I guess I’m a traditionalist. I love turkey, dressing and mashed potatoes on Christmas. And I’ve never ever been known to turn down a sugar cookie. LOL. Q: We all love Christmas holidays, but I was wondering if there’s anything about them you find annoying. Alison: Great question! I love Christmas music, but they start playing it so early that I’m a bit sick of it by the time Christmas rolls around. I wish they’d hold off on the holiday music until the day after Thanksgiving. Q: You’re holiday shopping, name a few things you’d buy this year. Alison: I absolutely must buy See’s candy for my family, who live in a state where they don’t have stores. It’s the best candy ever! And, I love to do gift cards—that way I ensure that my friends and family can pick out what they want, instead of me buying them what I think they want. Alison: There’s nothing like holiday movies. I adore Love Actually, and I’m totally addicted to watching the Hallmark and Lifetime channels all holiday season long for their Christmas movies. My favorites are Holiday in Handcuffs with Melissa Joan Hart and Mario Lopez, and The Road to Christmas with Jennifer Grey and Clark Gregg. Alison: If there’s a purse out there that’s not too big but could still fit all my junk in it, that’s what I’d ask Santa for. Unfortunately, I don’t think such a thing exists. Thank you Alison for stopping by today and Happy Holidays! 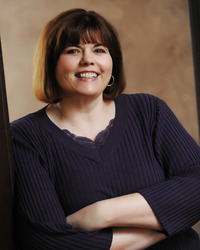 Alison toils as a government peon by day and writes contemporary romance with a dash of spice by night. A native Californian, Alison has made her home in Las Vegas for just over ten years and credits the move to Nevada with jumpstarting her writing career. 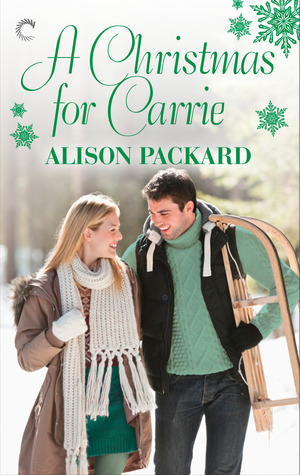 Alison is generously offering a digital copy of A Christmas for Carrie to one lucky commenter! Giveaway is open to everyone and ends 4 January 2014!